Golden Retrievers have been a part of our family for 20 years. Lilah and Lucy, sisters from the same litter were born in 2008. Sunny had 11 wonderful years with us. This photo was taken just a few months before she passed. We love this poem. Your lithe form racing with the wind, so young again and free. 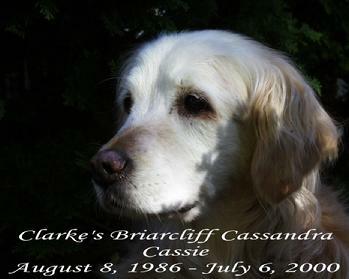 Cassie, our first Golden Retriever.